A 12-year-old girl’s afternoon was distressingly disrupted when she was followed home by a stalking stranger. The girl was first confronted by the man as she was walking home at 12:30pm from Washington Square Park. In the park he walked up to her and attempted to begin a conversation. The girl left the park in tears, and walked directly to her home. As she walked into the elevator to take her to the safety of her home, the stranger managed to slip into the building and then followed her into the elevator. The man then told the girl he had just been released from prison, and asked her to hide him in her apartment. The girl fled the elevator screaming, and the man beat a path out of there. The girl’s mother called the police at once. Based on the girl’s identification of the man from the back of the police car the police were able to arrest 39-year-old Carl Catapano. 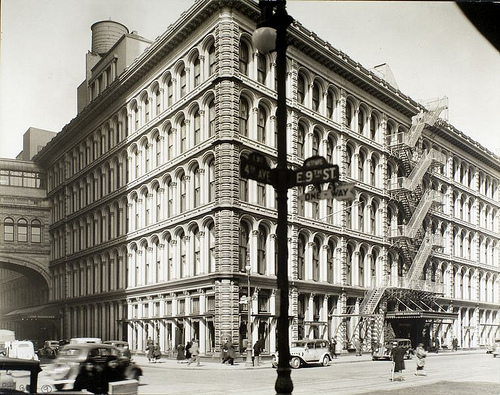 He was nabbed on 10th Street and Broadway, just a few blocks away. Catapano is now held on a $15,000 bond or $5,000 cash bail. He is charged with disorderly conduct, stalking, acting in a manner injurious to a child and criminal trespass. It’s always fascinating to learn about companies based in New York and the activities that they are doing. 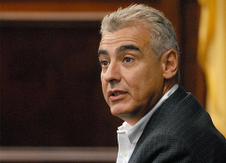 Avenue Capital Group, founded in 1995 by the brother-sister team Marc Lasry and Sonia Gardner, works to achieve attractive risk-adjusted returns with their focus on the distressed debt and undervalued securities of US companies. Their US strategy is focused in three main areas. They focus on companies in financial distress, those in bankruptcy and those that are undervalued because of discrete extraordinary events. As of the end of January, 2013, their assets under management allocated to the Avenue US strategy section were estimated to be around $5.5 billion. 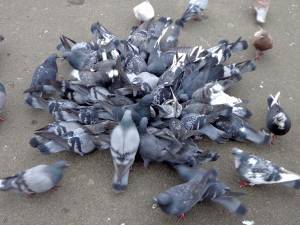 Have you ever wondered what New York would be like without its ubiquitous pigeon population? Now that about 100 of our pigeon pals have gone missing from Washington Square Park in Greenwich Village, we are given a rare chance to truly contemplate this question. No one knows exactly where our feathered friends (or foes) have gone to, but the park is certainly a different kind of place without them. Our question is: is it different good, or different bad? One observer was elated to say “good-bye to a huge flock of ‘rats’,” not caring to differentiate between mammals and birds. Another commentator was more sympathetic. Tina Trachtenberg, an animal activist was concerned about how “these innocent, trusting, loving pigeons” were being treated. Those speculating on the whereabouts of the birds seem to believe that they were lured and then captured by hunters, perhaps for food, or perhaps for some other use, that would not sit well with Trachtenberg. Whether the consensus is that the birds are a nuisance or rather a welcome reminder that we share the world with other living things and not just concrete, buildings and the occasional plant or tree, it is definitely kind of creepy to suddenly not to be sharing the space with these commonplace creatures.